Singer-songwriter Terry Callier, who collaborated with Massive Attack and Beth Orton, has died at the age of 67. Chicago-born Terry Callier, who began his career at 17 when he signed to Chess records, recorded his final album in 2009. Hidden Conversations was written and produced with Bristol collective Massive Attack. He also worked on Orton’s Mercury prize nominated album, Central Reservations. Terry Callier died in hospital in Chicago. The news was confirmed by record label Mr. Bongo, which worked with him on six albums between 2001 and 2009. His funeral will take place on 3 November in his home city and a memorial is planned for London. The date is yet to be announced. Many musicians have taken to Twitter and YouTube to pay tribute to the jazz and soul musician. Terry Callier was born on 24 May, 1945. He grew up singing alongside soul singers Jerry Butler, Major Lance and Curtis Mayfield. “That was a dynamite neighborhood. All of us were doo-woping at the time in different groups,” Terry Callier wrote on his MySpace page. He released his first single Look at me now in 1963. 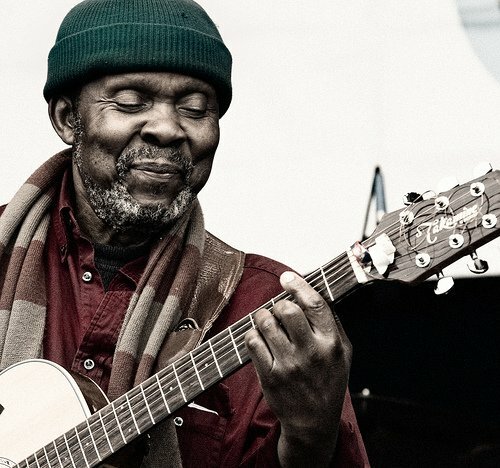 Terry Callier released three jazz-funk albums in the 1970s but in the 1980s, he left music behind after he was granted custody of his only daughter Sundiata, and re-trained as a computer programmer. “When I got custody of my daughter I had to give up music to raise her properly, she needed me and the music business just didn’t seem like a viable option at that point,” Terry Callier said, although he continued to perform. His music career was resurrected in the early 1990s when his Chess/Cadet recordings were re-discovered by acid jazz fans in the UK. Terry Callier sang vocals on Massive Attack’s single Live With Me, which was released in 2006.